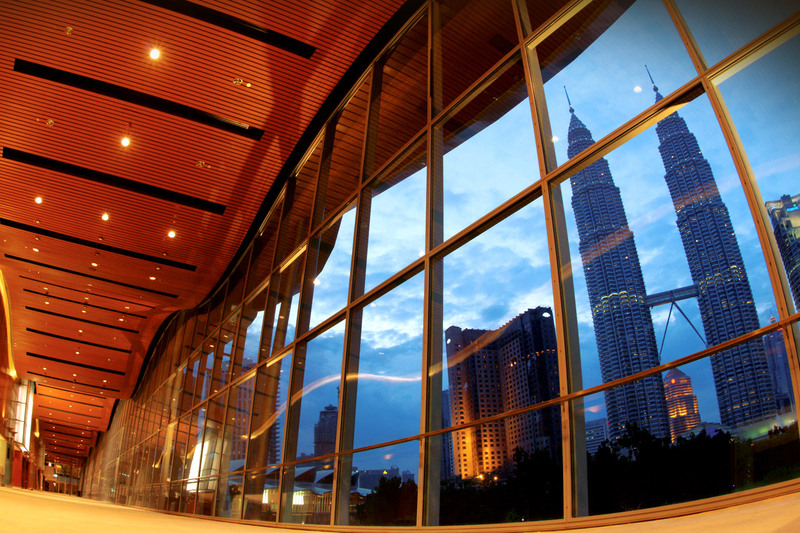 CONVEX began its environmental journey in July 2005 when it decided to benchmark the Kuala Lumpur Convention Centre’s (the Centre) environmental performance against the criteria set within the UN World Tourism Organisation’s recognised sustainable travel and tourism Green Globe 21 Company Standards (GG21). This benchmarking component requires organisations to measure their performance annually against a set of key criteria, including the use of energy, water, cleaning chemicals and pesticides, generation of waste and paper, impact on the community, and that there is an environmental and sustainability policy in place. Since opening in June 2005, the Centre has progressively implemented a series of recognised quality, food safety and safety and health management system that, whilst not directly related to the environment, is aimed at improving operational efficiency and in turn, contributes to enhanced environmental performance. In April 2007, the Centre received ISO 9001, 22000 and OHSAS 18001 certifications, and in January 2010, ISO 14001 Environmental Management System certification. Also in place is a programme that assists contractors working within the Centre to meet recognised quality and safety standards and to date, over 90% (of contractors) have met these standards. As the Centre continues on the path to sustainability, we acknowledge the need to cascade our environmental standards through to our contractors by facilitating their attainment of ISO 14001. To learn more about AEG’s sustainability efforts and progress towards its 2020 Environmental Goals, please visit the AEG 1EARTH website and read AEG’s 2015 Sustainability Report. We encourage staff and visitors to the Centre to reduce wastage, re-use and recycle where possible. Over 18 colour coded sets of bins have been placed strategically around the Centre in facilitate the separation of plastic, glass, metal and paper. Items left behind from events, such as a black backdrop curtain from a gala dinner, are often given a new lease of life as furniture storage covers, drop cloths, and even curtains for changing rooms while higher quality curtains which are fire-retardant and reusable and carpet tiles (reusable and recyclable) are now common materials for events held at the Centre. Careful thought is also put into the design and production of backdrops and props so items can be used again with minimal touch-up and alteration. Remnants of timber and pipes from exhibitions are brought back to the in-house workshop for reuse. With the building’s design making the most of natural light in all pre-function areas, energy is further saved with a lighting system that extinguishes the lights in function rooms and exhibition halls, except those required for emergency management purposes, when not in use. Since opening in 2005, the Centre has had a retrofit programme in place to gradually replace high-energy lamps, neon lights and incandescent bulbs with energy-saving light-emitting diodes (LED) ones throughout the venue. Other energy-saving measures include a specially-designed Variable Speed Drive (VSD) or inverter system which regulates the escalators and air conditioners so they automatically stop or slow down when not in use or a drop in the temperature is detected, turning lights down to a minimum during build-up and tear-down and using battery-operated forklifts and burden vehicles (buggies) to reduce the amount of fuel burnt. The Centre is progressively moving towards 100% biodegradable cleaning chemicals with the necessary strength to disinfect for cleaning toilets, carpets, glass and floors. To protect both the environment and themselves, all staff in contact with cleaning chemicals are required to undergo a course in proper handling. Pesticides are needed to keep the Centre free of mosquitoes and other pests which enter when the external doors to the park are opened or arrive in packaged supplies. Our pesticide contractors are monitored to ensure minimal pesticide use and all products are Government approved or endorsed by international organisations such as the WHO. The Centre considers the environmental consequences when making decisions on its mementos and gifts. Where possible, we use paper sourced from suppliers able to demonstrate sustainable forest management practices and select gifts made from material that may be recycled at the end of their useful life such as glass or pewter. We have also opted to provide pencils instead of pens for all meetings and conferences and to use less colour printing in our brochures and promotional materials. The Centre minimises the use of indoor plants to avoid the potential spread of common fungi which may cause respiratory problems for people with a sensitive bronchial system. All plants in the Centre are inspected and/or changed regularly to ensure that they are kept in a healthy state. The Centre supports the Forest Research Institute of Malaysia’s (FRIM) Conservation Culture Programme via a tree-planting initiative which sees monies for gifts for the annual Client Appreciation Cocktail and Association Seminar channelled towards the planting of selected endangered species at FRIM’s Kepong Botanic Gardens in Kuala Lumpur. Clients are also encouraged to participate in the Malaysia Convention & Exhibition Bureau’s (MyCEB) ‘Let’s Meet & Green’ programme whereby international delegates attending business tourism events in Malaysia can contribute a minimum USD10 as part of their event registration towards FRIM’s tree-planting programme. The Centre has several day-to-day initiatives to support its environmental performance. These include minimising the use of paper in preference to electronic communication, using double sided copying in black and white and the Centre’s website, www.klccconventioncentre.com as a comprehensive database for customer enquiries. Culinary offerings are increasingly using locally sourced sustainable produce where possible, to both reflect the seasonality of ingredients and cut down on air flown imports. Clients are also encouraged to use water stations instead of individual bottles of water to reduce water usage per guest.